The Sugar Kitchen creates concept cake art and design for all occasions, such as weddings, birthdays, anniversaries, christenings and corporate functions. 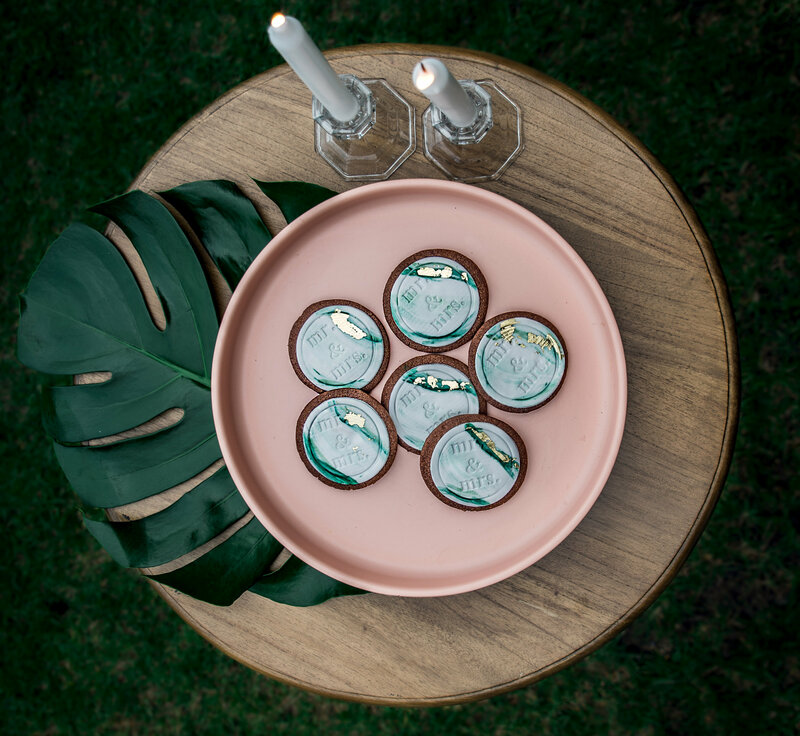 The Sugar Kitchen supplies the Coffs Coast with bespoke couture cakes, cupcakes & cookies made from quality ingredients, crafted with creative flair. Only the finest and freshest ingredients, including organic flour and free range eggs, are used to create high impact masterpieces. The Sugar Kitchen also caters for special dietary requirements. Here at The Sugar Kitchen, I use my cake powers for good, never evil. One of the quickest ways to someone’s heart is through their stomach and I aim to bring love and support to important Australian charities through making cakes. The gift of giving is an opportunity to brighten someone’s day and assist charities in making a positive difference in our community. Since beginning The Sugar Kitchen, I have baked hundreds of cupcakes to raise money for the RSPCA, Fred Hallows Foundation and McGrath Foundation. I look forward to supporting further charities through my business and bringing happiness to others by fundraising and eating delicious cake! Hi, I’m Sam. I began cake artistry and baking as a hobby, whilst studying archaeology. I followed my passion for cake design and was formally trained at Planet Cake in Sydney. Here I became a facilitator and a teacher, and featured on Planet Cake TV. I went on to work for Celebration Cakes in Sydney, where I developed my efficiency and designer cake skills, plus strong rolling pin arms! During this time I received Runner Up for my Novelty Cake Entry at the Cake, Bake & Sweets Show, Sydney in 2014. I incorporate my professional baking skills and passion for the best ingredients into all of my cake, cupcake and cookie creations. I’m always dreaming up cake concepts and imaginative designs. Clients love seeing their idea turned into a delicious 3D reality with a one of a kind custom-made cake. I founded The Sugar Kitchen in my hometown Woolgoolga, on the Mid North Coast of New South Wales. I’m available for custom cake orders for any occasion, cake design lessons, and wholesale orders. Please contact me today about your cake, cupcake or cookie order!